The funds of the Jeffreys Bay Recycling Project were running low, and a plan had to be made to keep the project rolling. 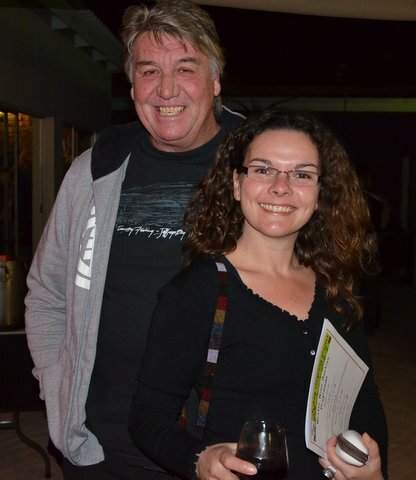 A wine auction was decided upon to fill the piggy bank and Carina De Flamingh put the wheels in motion. Sponsorships were donated and last Friday night the whole plan came together. Tickets were sold out, and the venue, 10 Da Gama Road looked like a fairy tale. Table settings were beautifully done, and candles, made by Gitta Seyfert, were burning to welcome guests. An atmosphere of excitement was tangible as the focus on the finances of the recycling project was the talk of the evening. Volunteers of the recycling project served the three course meal, beautifully prepared by Jayne’s kitchen from In Food. A special team was busy in the kitchen, as Jane’s brother and his two sons, all with culinary backgrounds, arrived from the USA in time to be part of the service line, overseeing each plate that left the kitchen. The chitter chatter grew quiet as the excellent food were enjoyed by all. The auction started, and hands went up in the air as guest showed their generosity and open hearts towards the Jeffreys Bay recycling project. The auctioneer, Jo Brown from St Francis Bay, kept going, giving the odd chirp to keep the betting alive. 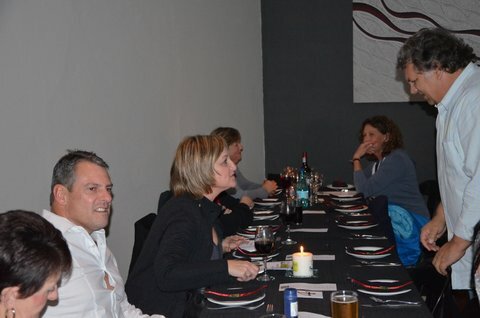 Everybody was in awe when calculations showed the results- R 26 000.00 was raised during the evening! The evening, now full of excitement and thankfulness, was far from over and the rhythmic music kept guests glued to their seats. Coffee was served but and no one was in any hurry to leave. It was near to midnight when the candles were blown out, and doors were locked. 10 Da Gama Road yet again lent herself to a successful event! July 29, 2012 in recycling.